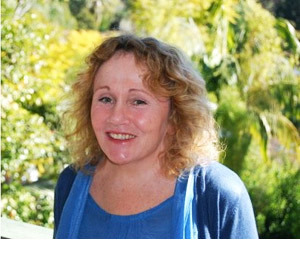 Kathryn is an exceptionally gifted intuitive therapist with over 35 years experience in the health and healing fields. She is a spiritual and energy healer, medical intuitive, spiritual counsellor, psychic, medium and intuitive profiler. Her background as a Naturopath, Homeopath and Registered Nurse enhances and grounds her work as an Intuitive and Healer. Her focus is on empowering her clients in a non-judgemental environment that promotes healing and transformation. Gain insight and direction. General intuitive, medical intuitive, core issues, counselling, body scan, psychic medium. A fantastic way to alleviate feeling stressed, stuck or overwhelmed. Psychic, energy, spiritual and holistic healing. Receive deep insight that will enable you to manage people and situations in the most effective way. Would you benefit from a psychic and intuitive reading or healing? feel stuck, indecisive or lack motivation? need some insight and direction? want to know what is causing and maintaining your issue, problem or illness? have health issues that won’t resolve or defy diagnosis? frequently feel anxious and fearful? want to understand and let go of dysfunctional core issues? keep repeating the same thoughts, feelings or behaviours even though you don’t want to? know what you want to do, but can’t seem to do it? feel frustrated, guilty or ashamed because of this? want to let go of this resistance and move forward? © 2019 Kathryn Elliot. All Rights Reserved.